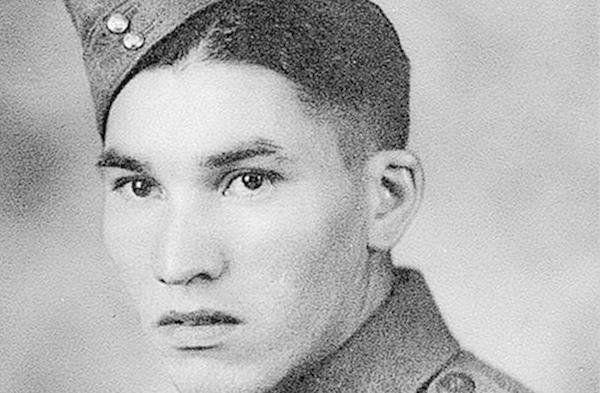 Filmmaker Alexandra Lazarowich wants to do more than tell the story of Cree soldiers from Alberta, who communicated vital military intelligence that contributed to the Allied victory plans in World War II. She wants to get them the recognition they have long been denied and so richly deserve. “We want justice for them. That’s what we want to do with this film. In my secret heart of hearts I’m hoping to get congressional medals for them. …They were never honoured while they were alive. This is the best we can do for them now,” she said. Lazarowich, a documentary film producer, will be teaming up with director Cowboy Smithx to create a documentary short about Cree code talkers as part of the National Screen Institute of Canada’s Aboriginal Documentary Training Course. Four producer-director teams are chosen annually from a pool of 20 or 30 applicants to take part in the year-long production of a documentary short to be featured at national and international film festivals. Lazarowich and Smithx recently received a financial boost for their project. 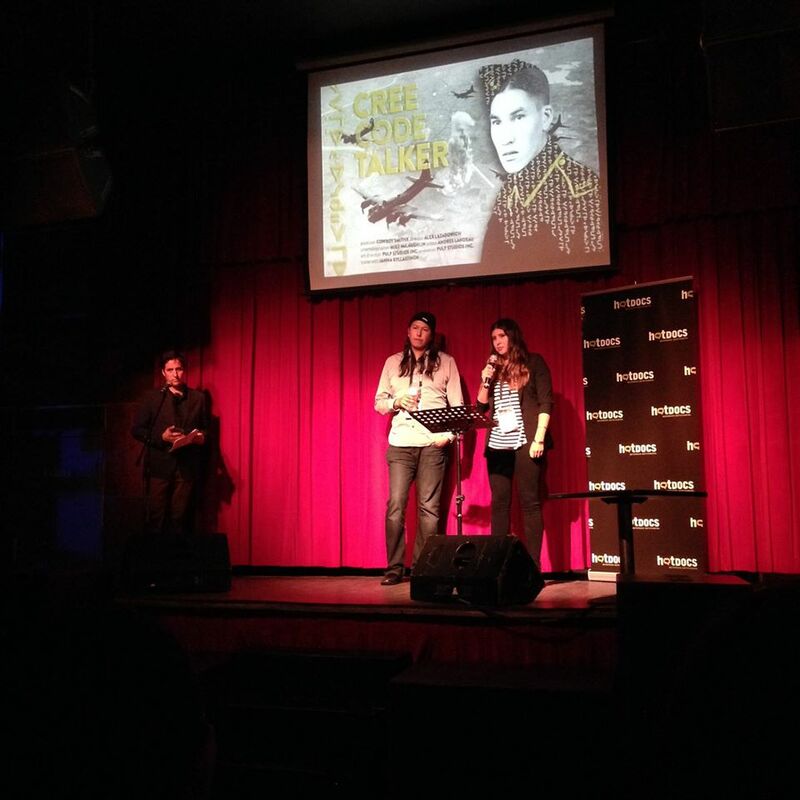 The pair won first place and $30,000 at the Hot Docs BravoFactual short pitch competition on April 29. They were among six Canadian filmmaking teams who pitched their short documentary project to a live audience and panel of judges. 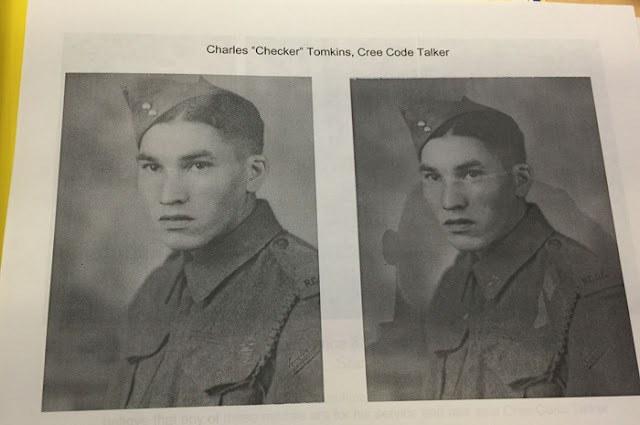 Lazarowich’s own uncle, Charles “Checker” Tomkins, was a Cree code talker and will be featured in the film. He passed away in 2002, but before he did, he spoke about his work with the Smithsonian—the only organization to attempt to document the stories of the WWII Cree code talkers for the historical record. Lazarowich says that Tomkins almost never spoke of his experiences as a code talker, and opened up to the Smithsonian just before he died, leaving behind only audio recordings of his recollections. 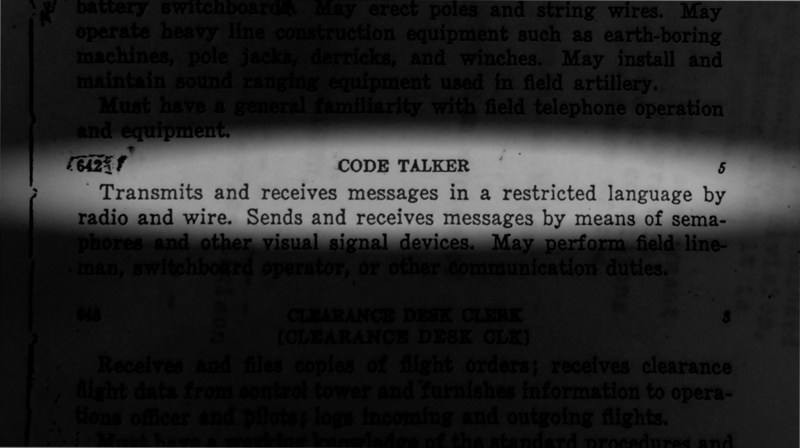 “These code talkers worked for the U.S. Air Force in World War II, but they were told not to tell anyone ever about their work,” Lazarowich explained, adding that while the Cree code program was declassified in 1963, it was without much fanfare, and most of the Canadian code talkers ended up taking their stories to the grave. Lazarowich and Smithx are in the pre-production research process—talking to family members, hoping to find stories, photos and perhaps connections to code talkers, who may still be living. “We’re trying to piece together a timeline, pulling strings of information to see how to build the story, trying to find connections. There are so many pieces that are unknown,” she said, adding that they’ve created a Facebook page (Cree Code Talker) and website (www.creecodetalker.com) to try and reach out to people who may have information to contribute. A similar story was told in the 2002 movie Windtalkers, which focused on two Navajo soldiers responsible for sending and receiving near unbreakable codes during World War II; the codes were based on the Navajo language and helped the Allies win the war. “The saddest part is these (Cree men) were never honoured, never recognized by the Canadian or American governments. They went to residential school and were told never to speak their language, and then when war came, their language was leveraged to win the war,” Lazarowich said, adding that she plans to start a letter writing campaign to congress and the president on behalf of the Cree code talkers’ service to the American country. 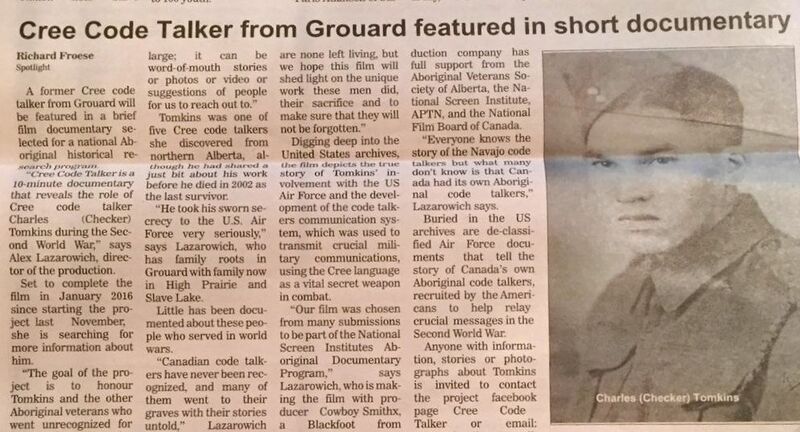 Responses to "Documentary honours secret Cree code talkers of Second World War"
I am Chippewa Cree from Turtle Mtns. This is a great thing to do for the Cree people that served in that capacity. Thank you guys. More forgotten heroes who deserve recognition. Let us know when you have the letter writing campaign up and running. The name Tomkins sounds familiar, my god father and godmother were Peter and Elsie Tomkins from Kinuso AB, I think I am related to the Tomkins. Maybe they were from Joussard AB that is were they are buried. This is my late uncle checker who was a great humble man that never took credit for what he has done for our country. I remember him talking to me about the war when i was a kid but never recalled or mentioned the important role he played given us our freedom.